Evil has visited upon the Ivy Tech John Waldron Arts Center. The 2018–19 Ivy Tech Student Productions theater season “explores the eternal question of evil with a wide range of approaches,” says Artistic Director Paul Daily. 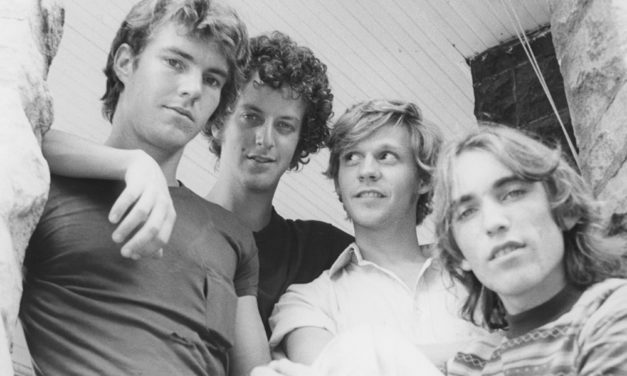 Bloom’s Greatest Hits: How True Was ‘Breaking Away’? As part of Bloom’s Greatest Hits and in anticipation of this season’s Little 500 bicycle race, we look back at this story published in our June/July 2014 issue. From February/March 2015: When Mary Alice Dunlap was appointed by the Bloomington City Council as the city’s first woman mayor in 1962 after the resignation of fellow Democrat Tom Lemon, it provided a cause for celebration. The former city clerk/treasurer was just the second woman ever to serve as the mayor of an Indiana city, but the breakthrough was short-lived. It might be getting more difficult to make your mark in the local grocery arena, but Bloomingfoods General Manager Tony Alongi says it isn’t impossible. That’s why the local co-op has introduced Bloomingfoods 2U, the city’s only grocery delivery service. For the past decade, multiple stakeholders have been seeding Bloomington with infrastructure, venture capital, accelerator programs, and more in an effort to attract and retain high-tech companies. Now those efforts are paying off.